For more than ten years, American Express Publishing has been rounding up the top leaders in the luxury industry to get together and discuss topics that matter the most to them and their clientele. 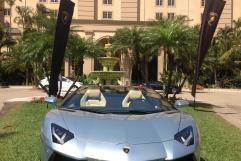 Automobili Lamborghini America was commissioned as one of the sponsors for the annual AMEX Luxury Summit, which took place at the Ritz Carlton in sunny Naples, Florida. Lamborghini America appointed Centigrade to assist with the execution of the event in terms of vehicle logistics, branding, drive schedules and sponsorship liaising. As part of the sponsorship package, select attendees of the Luxury Summit took advantage of the opportunity to drive Lamborghini’s flagship model, the Aventador LP 700-4. Also the OEM was the honored sponsor of the Beach Bonfire BBQ to close out the second day of the event. 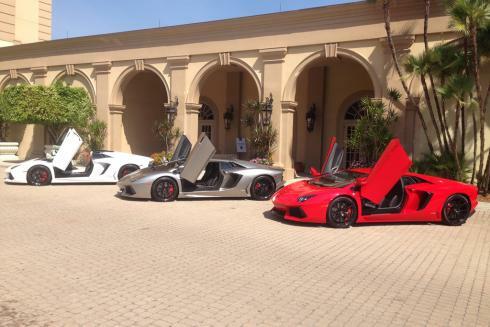 During the two-day event, more than 25 test drives were performed. Product specialists were on-site to teach the test drivers how to properly operate the vehicle and answer any questions guests had about the car. 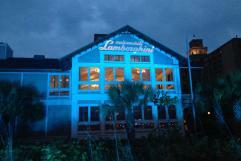 The product specialists also helped with guest registration and lead generation.